Alex Lloyd Gross Photo- Delaware Valley News.com Gene Simmons at a local appearance . He will make another one in June. Most bands today view KISS as their mentors and dream of playing in the band or maybe even opening for them. In fact 1998’s Detroit Rock City featured a fictional band Mystery who wanted to open for KISS. That movie was fantasy. The reality is that one local , lucky band will get the opportunity to open for Gene Simmons when he plays his first ever Solo Concert at the Trocadero. The show is June 2 2017. 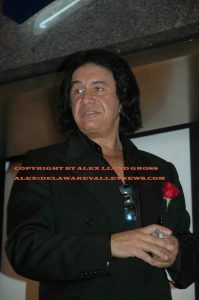 Gene is going to play a show at the Troc, in conjunction with his appearance at Wizard World. While at Wizard World, he will be signing autographs and posing for photos. There is a fee involved. You can go here to get more information on that or secure a guaranteed spot in line. Tickets to the solo show are $38.00. In this day and ago of over inflated ticket prices, this is a bargain. Bands interested in opening must submit video links to openingact@wizardworld.com. Bands must be professional and follow all of the rules of the event staff. Bands should be able to play at least 35 minutes of material. All band members must be able to present themselves at the Troc no later than 6:00 PM day of show for soundcheck. 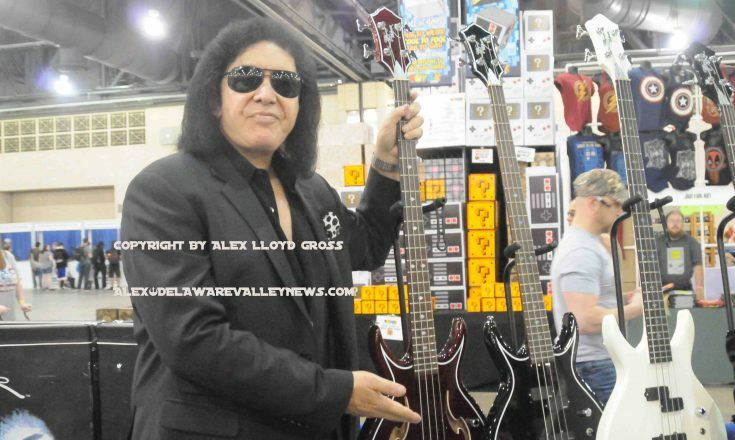 The decision of Wizard World and Gene Simmons is final. Your entry must be sent before May 19 2017.